Kym Hart was born in 1963 in Broken Hill and is the second eldest son of Pro and Raylee Hart. 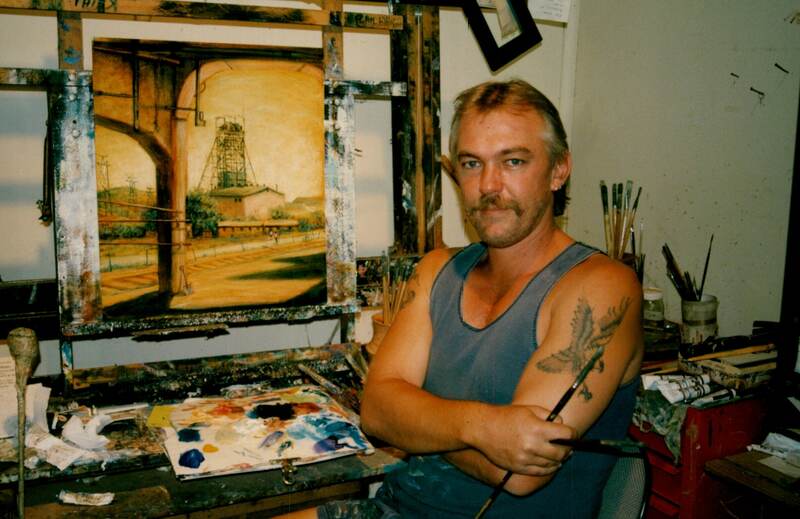 Having an internationally recognised artist for a father was a real head start for Kym, with Pro’s incredible ability to teach and the influence of the multi-million-dollar art collection adorning the walls of the family home. Kym also had the opportunity to meet and work with many famous artists. Kym started painting at a very early age, mainly in Broken Hill, enjoying the everchanging landscape with the heavy industrial influence of the mines and the tranquillity of the Darling River system, adjoining lakes and billabongs which are prominent in many of Kym’s paintings. Kym has travelled widely both within Australia and overseas and has painted in a number of countries including Egypt, Japan, Saudi Arabia and Hawaii but believed that the landscape around his home town of Broken Hill provided the most inspiration as it is alive with history and vivid colours. And from this inspirational platform, he paints a vast amount of subject matter and with his ability to paint in so many styles and mediums, this has won him acceptance in many collections the world over. Kym moved to Queensland in the late 90’s, with his wife Deborah and three sons Samuel, Zachary and Joshua. He has continued to have great success with his style of an intriguing mix of fantasy, surrealism and realism. His paintings are in many private collections throughout Australia and overseas.